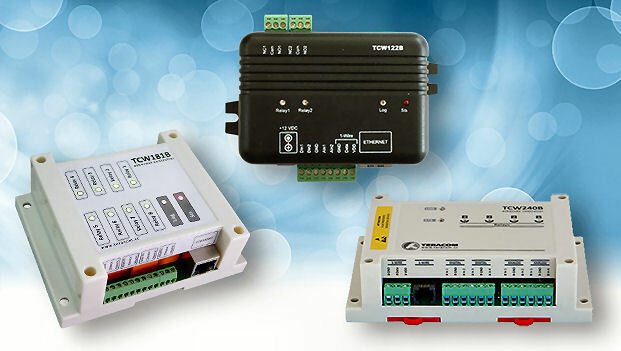 To arrange remote relay control two devices should work as a pair – one in “client” mode and other in “server” mode. 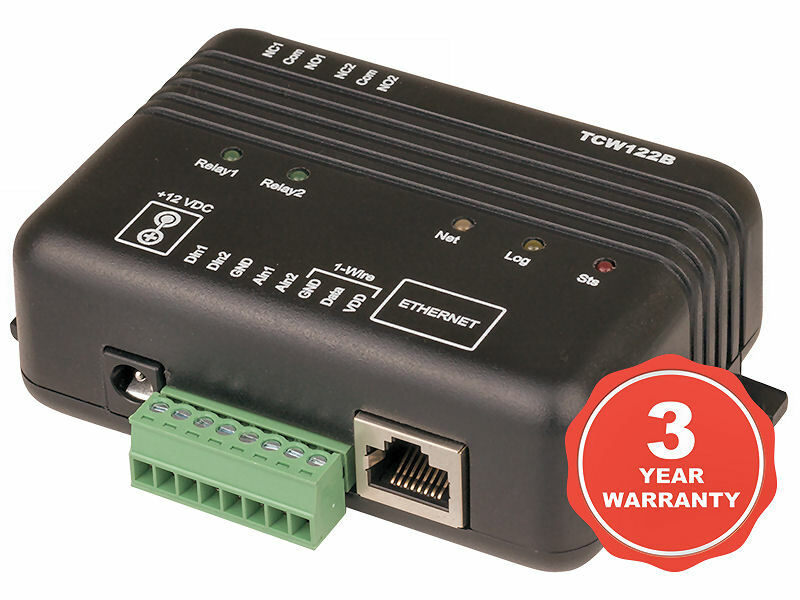 TCW122B-RR is a remote relay control module with an embedded WEB server for setup. The device has two digital inputs and two relays, with normally open and normally closed contacts. 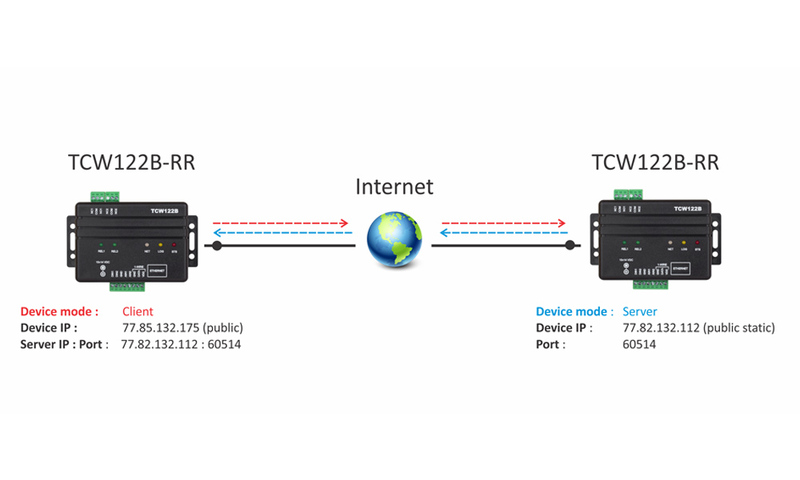 TCW122B-RR can work in two modes – “Client” or “Server”. The “Client” periodically sends the status of its digital inputs to the “Server”. The “Server” answers by returning its digital inputs status, activating the input of “Client” switches on the “Server” and vice versa. This configuration is used to control remote devices without a browser or to extend a digital signal to a remote location on the network. Maximum switchable current for relay contacts, 3 Amp. If a power supply is needed please order Model 18964 with the TCW122-WD.